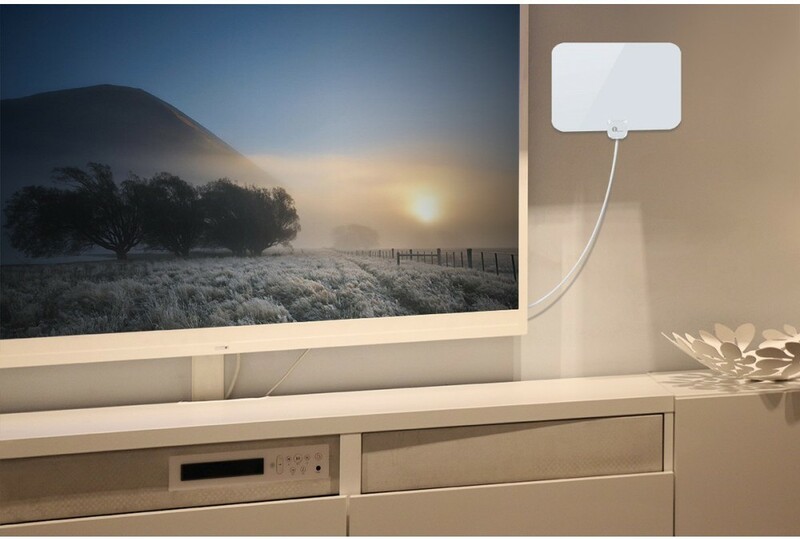 The best way to get the most out of your TV antenna is placing it in the correct location. The better your reception, the more channels you’ll be able to watch! You’ll find that there are some places in your house, with better reception than others. Take some time to experiment and place your TV antenna in different places to see what works out best. 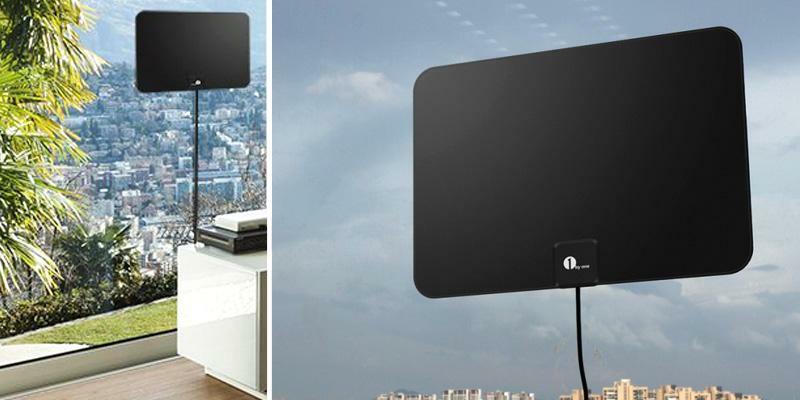 Flat antennas like our 1byone 50 Miles Amplified HDTV Antenna are best placed against windows and adjacent walls. Alternatively, if you can set up your antenna somewhere higher you’ll notice an instant difference. If you have a second floor or a skylight place your antenna there and enjoy even more channels as compared to having it on a lower ground. Mounting your antenna at the right angle makes a huge difference. And how do you find the right direction? With the help of a TV Station Locator Tool where you can enter your address and zip code. This lets you determine where the TV signals are coming from. How handy! If you have too many electronic appliances around your antenna, it could affect your reception. Try unplugging all the nearby devices and check your signal strength. If you find it’s much better than you can try shifting either your antenna or other devices to another room. An amplifier can help in boosting signal strength and is advisable to get one if you live far away from stations. On the other hand, if you are using an amplifier already, try removing it and see if your reception gets better. Sometimes an antenna can make your reception worse if you have strong stations that overpower the weak ones. 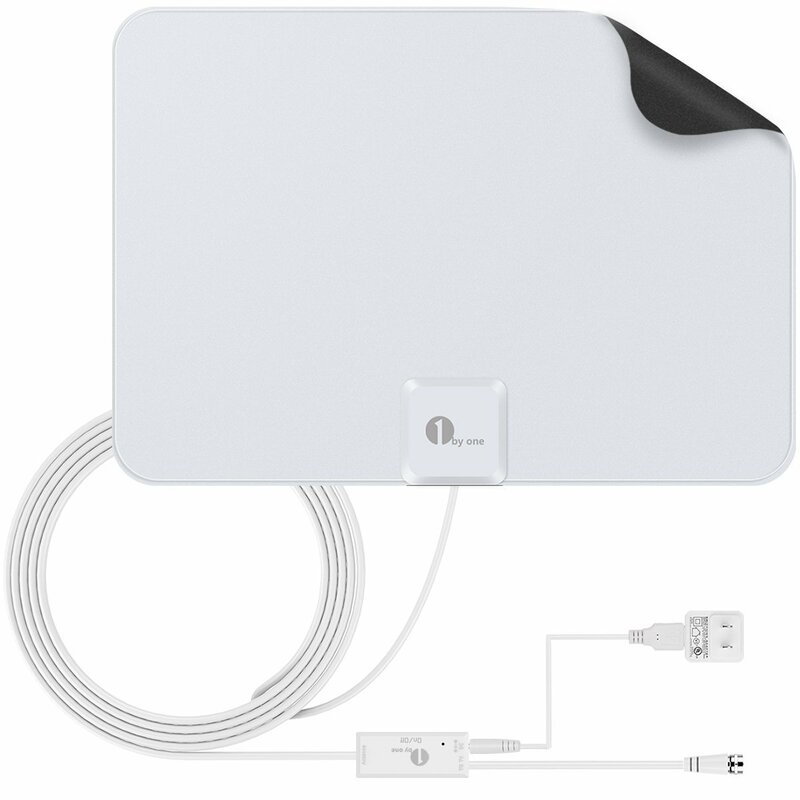 And if you’re still looking for an HDTV antenna be sure to check out 1byone 50 Miles Amplified HDTV Antenna for a smooth experience! What’s so special about this antenna? With an extra long cable length of 20 feet, you can place your antenna at the best possible spot without having to worry about reaching far off places. Even without using an external amplifier, 1byone’s antenna makes sure you get the best experience and even more channels than before. With a signal range of 50 Miles you get crystal clear reception with no static or interruption. 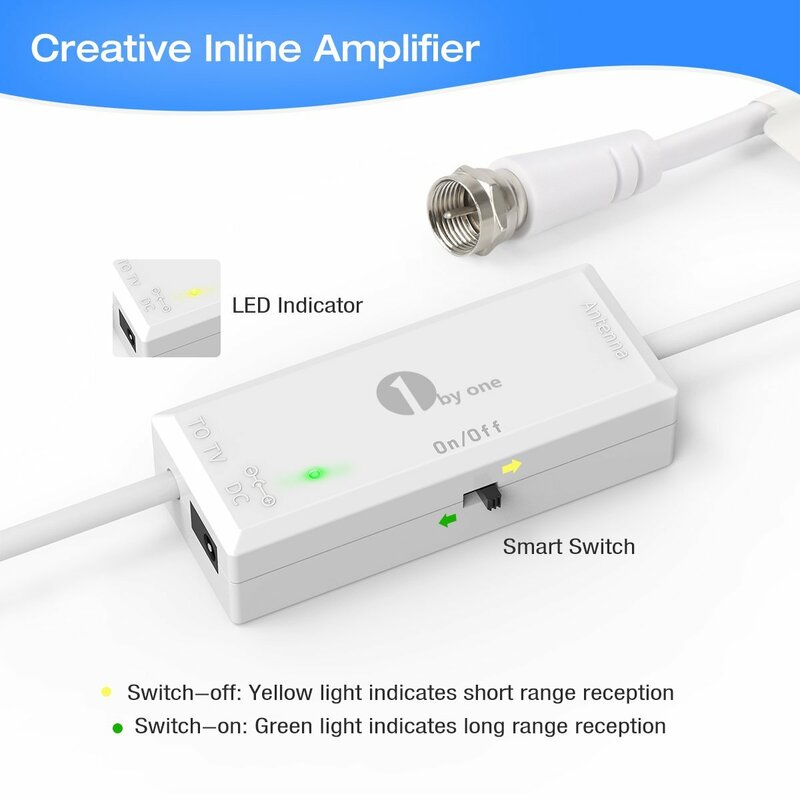 Get even more channels than before without buying a signal booster or additional amplifier since this antenna comes with its very own inline amplifier. What this does is lets you choose the signal which suits your location the best. All you have to do is turn the amplifier on and then off to see which mode gives you more TV channels. Pretty easy, right? All of these features (and many more) at an affordable price of just $21.99 is what makes 1byone’s cable very popular. Buy it from Amazon here.